Congratulations to everyone else who is graduating this semester! Congratulations to you Penny! Wishing you much success in all that you do! 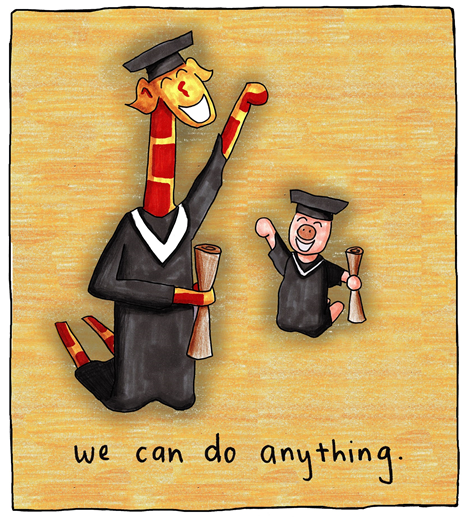 Congratulations, and to all those graduating this year. Is he graduating from HIGH school? Congratulations Penny – I hope this doesn’t mean the end of Giraffe and her mates? Thanks for providing some humorous insight into life whilst you’ve been hitting the books! Have a great Christmas and New Years as well. Definitely not the end for us yet :) Thank you Mark, merry Christmas to you as well!! !